Marco was born in Sinalunga Cencetti the 13.05.1983. Resident in Florence, graduated in Mechanical Engineering in the academic year 07/08. The thesis has treated the design of the suspension for a single-seater Formula SAE. He approaches the world of racing to 14 years and takes the first steps in the Go Kart. The year 2011 seemed to mark the ascent to the prestigious Le Mans Series. The agreement with the team was very close, but instead, it was not possible to reach it and therefore, you were forced to a second best solution. 2011 sees Marco face again the Radical European Masters, but unfortunately the season is in ascent. The car is a Radical SR8 from over 460 horses is very fast but not very reliable. The new crew Cencetti - Valori is forced to numerous retreats or mechanical problems that force Marco in performance is not worthy of its name. Marco with his manager De Tommaso, decides to interrupt the program in 2011 to focus and work on stagiono 2012. In 2010 Marco and his manager De Tommaso, decided to face a new challenge: the Radical European Masters Championship. Prestigious series that takes place in motor racing circuits such as Spa, Silverstone, Nurburgring and many others. 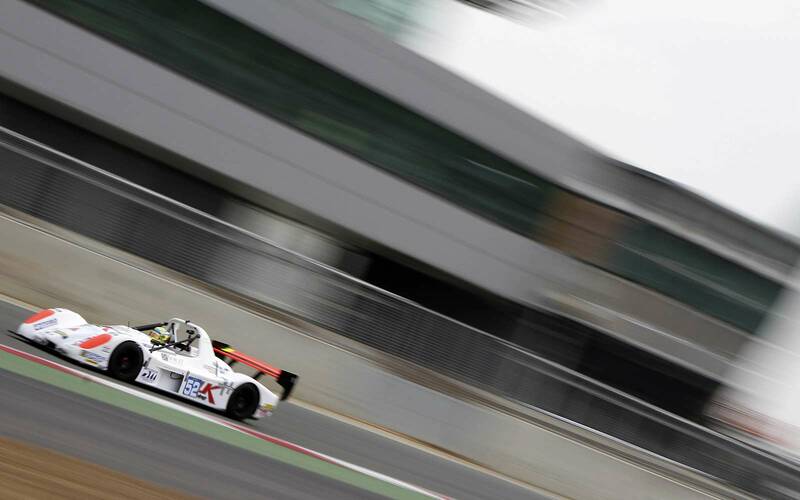 The car is a prototype made in England, the Radical SR3. In this series of endurance races, you run with two drivers per car and Marco agrees with his friend Andrea Fausti to address the season. Immediately before the first race, we understand that the performance of Marco, both in Europe, are above average. The whole season is a triumphal march, with 90% of pole positions, 100% of fastest laps and 70% of wins. Winning the European title with two races to spare is nell'autodromo Silverstone. In 2009 he participated for the second year at the Italian Prototypes Championship with the Team Target but always with a new standard CN2. The car proves to be very powerful but unfortunately not very reliable. Gets a second place at the first trial but in the remaining races Marco is forced to retire due to mechanical failures and three times, he withdrew from the first position. The Mugello iè a masterpiece driving: on the track made wet by the rain, the Cencetti’s car locks the transmission in fifth gear while he was catching up and it was already in third place. The withdrawal seems forced, but instead, Marco, decided to continue and thanks to the very difficult conditions of the track, can, through a series of fast laps to take the lead of the race and maintain the first position to the finish. The other drivers and attending the races were incredulous when they knew that Marco has done half of the race with only the fifth gear, failing to score the fastest lap and winning a well-deserved victory. Italian Prototypes Championship with 3 wins and a 3rd place out of 4 races. Driving Instructor on track at Morrogh’s Driver School. Driving Instructor BMW, Mercedes, Lotus, Ferrari, Lamborghini. National Trophy Formula 3 with 3 wins and 5 pole positions out of 5 races. Driving Instructor BMW, Lotus, Seat, Renault and Citroen. In 2005 the budget problems persist and then he focuses mainly in the test work with the teams of Formula 3, and for manufacturers such as BMW, Lancia and Citroen. Participates in a Formula 3 race. Driving Instructor BMW and Citroen. In 2004, Marco has the same budget problems, but try also to run in one of the most prestigious championships and technicality similar to Formula 1: the World Series by Nissan. One of the top teams in the league, the RC Motorsport, helps him a lot, but despite the excellent races sailed Marco can not find sponsor to complete the season. The 2004 World Series Championship was won by Heikki Kovalainen (F1 driver), prevailing over other good drivers like Bernoldi (former F.1), Karthikeyan (pilot F.1), Monteiro (pilot F.1). Join two races of the the World Series by Nissan (5th and 7th). Ranked 1st Italian Formula Ford 1800. Represent the National Pilotiin at the Partita del Cuore. In 2002 he has problems finding the budget to participate in the Formula Nissan championship won by Fernando Alonso before his move to Formula 1. Then try the tourism category, running with the Alfa Romeo. Continue to gain experience in doing the test cars in Formula Ford. Join three races of the Challenge Cup Alfa Romeo 147. Attends the course at Morrogh’s Driver School. He attended school federale CSAI Sector speed. Best student of the year of Morrogh’s Driver School. At the end of 2001 he decided to move from the Go Kart to cars. The opportunity is offered to him directly from the famous Morrogh, who has high expectations for him. The results were not long in coming and win, debut, the Italian Formula Ford 1800, winning with two races to spare. His name began to be known even outside of the races, in fact, is to represent the National Pilots at the “Partita del Cuore”. Ranked 1st Regional Championship Tuscany. Ranked 2nd National Championship Pomposa. Ranked 1st Winter Tournament Siena. Summoned to join the team Tuscany for the Italian Championship.